REDUCED TO $399,900 OWNER VERY MOTIVATED. 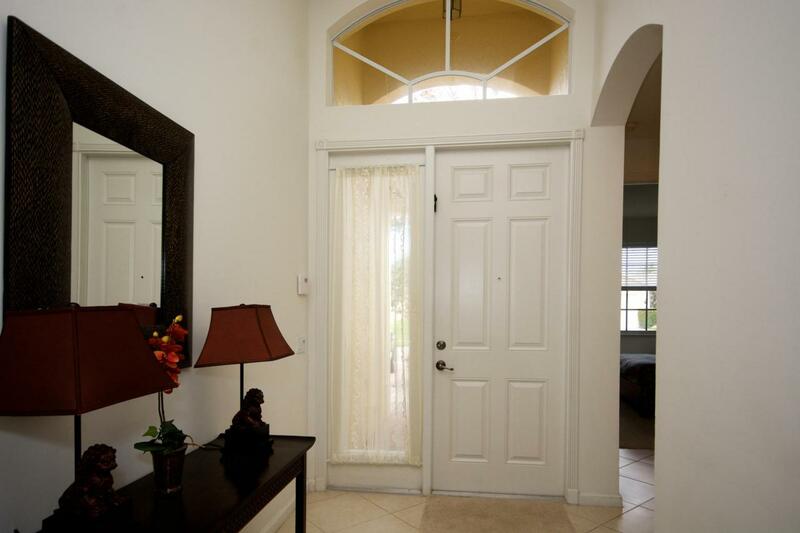 ABSOLUTELY GORGEOUS HOME WITH ALL THE EXTRAS. DESIGNER KITCHEN WITH WOOD CABINETS, GRANITE, STAINLESS STEEL APPLIANCES. BAY WINDOW LOOKING OUT TO THE PATIO & YARD. TOTAL PRIVACY. ALL TILE WITH CARPET IN TWO BEDROOMS. LARGE MASTER BEDROOM. MASTER BATH WOOD CABINETS LARGE STALL SHOWER, TUB AND GRANITE. THIRD BEDROOM USED AS AN OFFICE - CAN BE USED AS A BEDROOM. HUGE LAUNDRY ROOM WITH LOADS OF CABINETS. 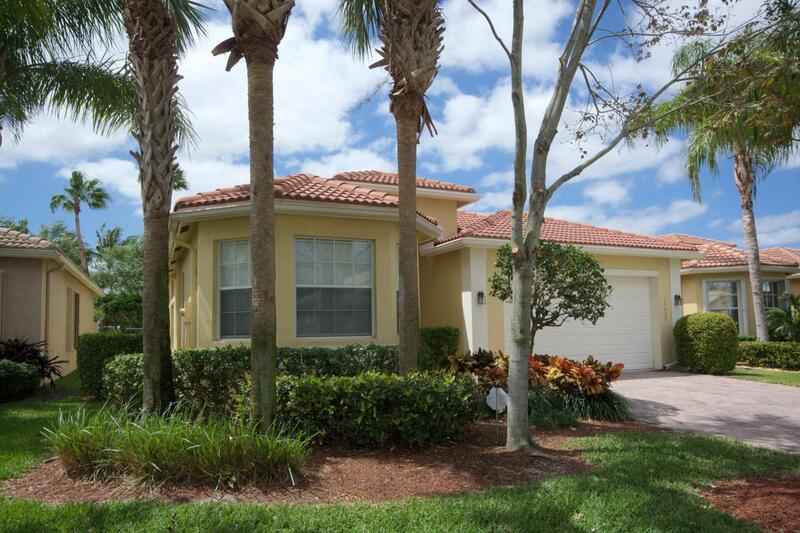 THIS HOME IS IMMACULATE - OVER 2300 SQ FT OF LUXURY. BOTH COVERED PATIO AND OPEN PATIO. 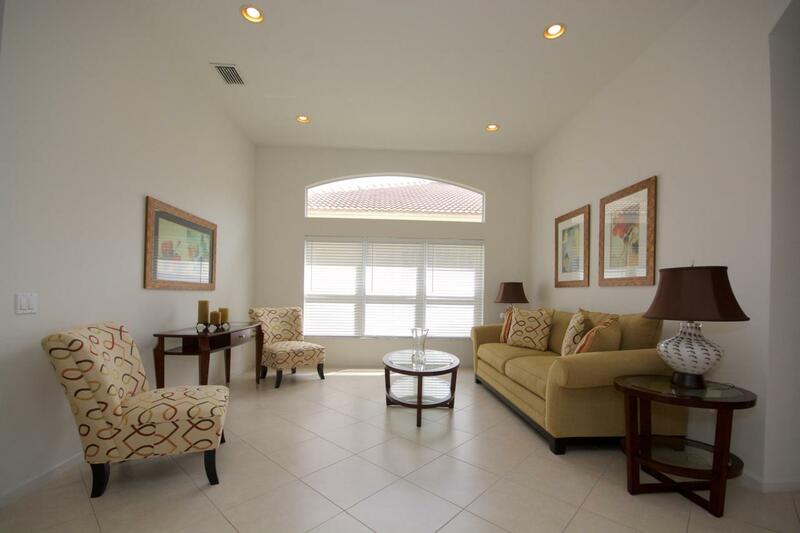 - SEE PHOTOS - CAN BE PURCHASED, PARTIALLY FURNISHED OR COMPLETELY FURNISHED. 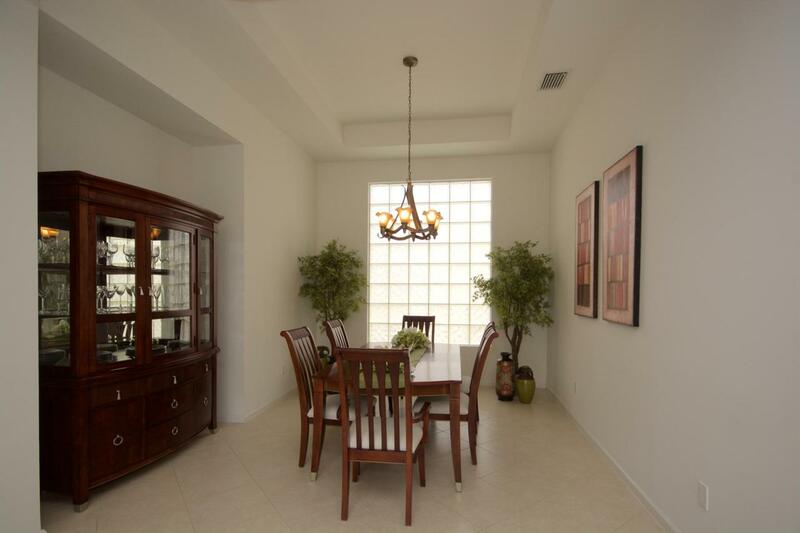 VALENCIA POINTE HAS ALL THE AMENITIES. MUST SEE THIS IMMACULATE HOME. BEST BUY IN THE AREA. MOST HOMES PRICED UNDER $400 ARE 600-700 SQ FT SMALLER. WON'T LAST AT THIS PRICE.